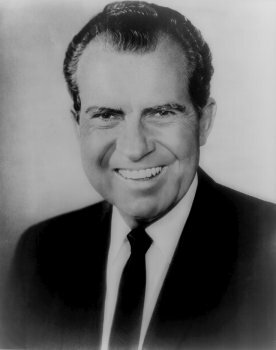 Nixon died in 1994. His funeral was held on April 27 at The Richard Nixon Library and Birthplace, Yorba Linda, California. Eulogies were delivered by Dr. Billy Graham, the evangelist, Dr Henry Kissinger, the former Secretary of State, and Pete Wilson, the then Governor of California. President Bill Clinton also spoke. He was flanked by all the living former Presidents, except Reagan. Perhaps the most moving tribute was paid by the man who was Chairman of the Republican Party during Nixon’s term, Senator Bob Dole.